It’s been twelve years since we last seen the good townsfolk of Deadwood, but the old adage says, you can’t keep a good show down. HBO finally confirmed that the long-awaited Deadwood reunion movie is finally, FINALLY in development. Deadwood first premiered on the HBO in 2004, much to the delight of critics, historians and lovers of curse words and boobies everywhere. Starring Ian McShane, Timothy Olyphant, Brad Dourif, Molly Parker and every piece of talent in a ten-gallon hat that HBO could get their hands on, the show made major impact on both the cabler and pop culture. Unfortunately, despite accolades and praises aplenty, HBO opted not to renew the program after the third season, leaving storylines and characters hanging in the balance. Although creator David Milch did agree to a two-hour movie back in 2006 to help wrap things up, in 2007, HBO execs admitted that this was probably not very likely. 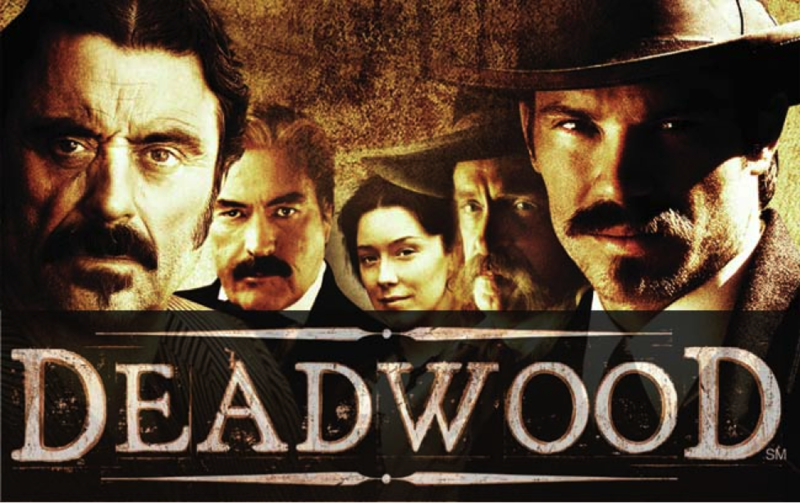 However, rumors of a Deadwood resurrection began making the rounds last August when actor Garret Dillahunt who played two central figures on the cable hit took to Twitter to announce the possible pic. With the official announcement of a Deadwood movie in development, it looks like we’ll be able to find out what has happened to our favorite gunslingers, merry widows and bar owners after a small twelve-year hiatus. Bet ya ten buck that blood stain is still there.